Our Intermittent Pilot systems eliminate the standing pilot for even greater fuel savings. IP systems include a thermostat remote control with variable flame features. Our contemporary burner completes your modern outdoor décor. With stainless steel top and linear burner, these attractive, modern systems deliver 36,000 Btu's – plenty of fire to warm your guests and light up your outdoor event. 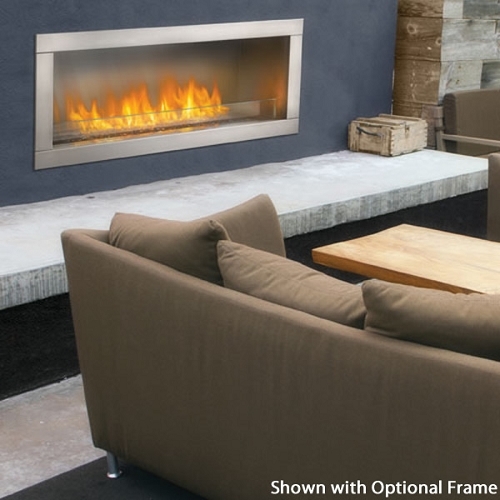 This freestanding linear burner provides a modern twist on the outdoor fireplace – creating ambiance and light. 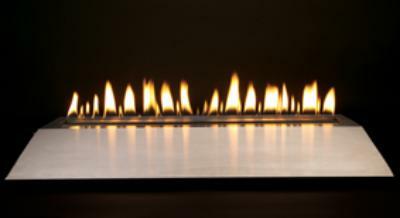 Available in IP only, these burners are designed for installation in an outdoor fireplace or firebox only.